I have a confession to make – I have never entered a print competition. It is one of those things that I never got around to because choosing images to enter into a competition is a job in itself, and requires you to step away from from your images and analyze them for perfection. I love each and everyone of my furry clients and therefore felt that I was far too emotionally attached to their images to make hard decisions. There were over 8600 images entered and each image had to be reviewed by a panel of 5 master judges. So, as you can imagine, that takes some time. And the period between hitting submit and the results being published, is the worst! 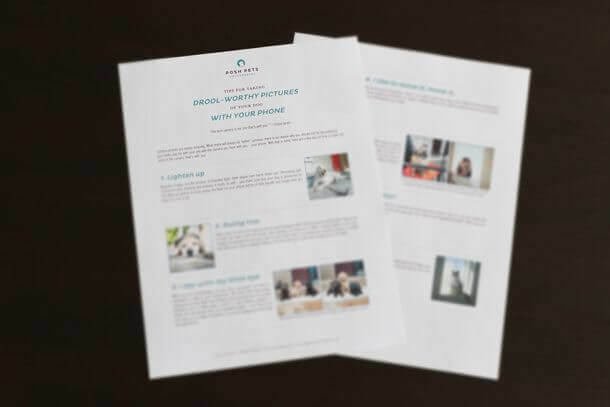 It gives you all sorts of time to second-guess yourself: did I choose the right image, is it good enough, will they like it…? All that wondering though, came to an end on Friday when the results were released. The portrait received a score of 76, and a Bronze Merit. I have to admit, I was a wee bit chuffed to see the score. While I know that dog mums and dads everywhere love the portraits of their furry family members (as do I), it was admittedly a great feeling to know that completely independent judges feel the same. I would be remiss not to thank my little client, Lilly, who is the subject of the portrait. Although she was initially a bit shy when I first met her – it was probably all of the studio equipment I brought and set up in her house – she turned turned into a star once she knew what I wanted. I can truly say: without Lilly, none of this would have happened! So, thank you, sweetheart. 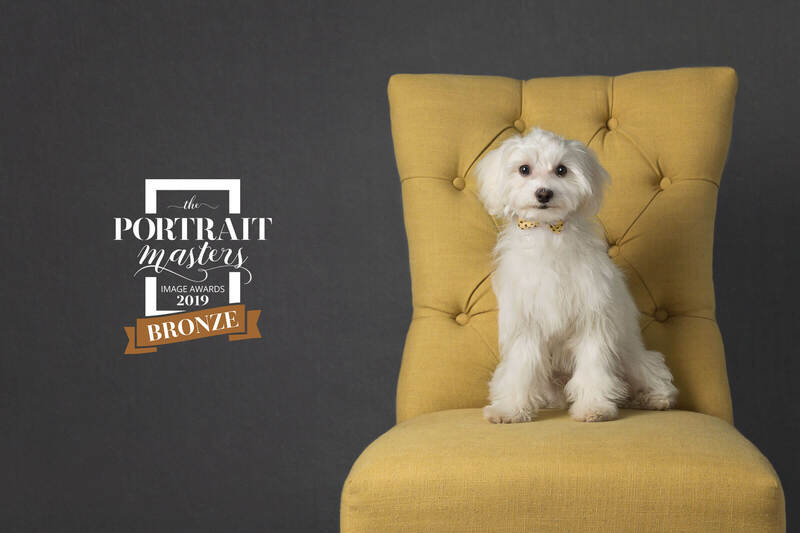 Are you looking for an award-winning portrait of your own dog or cat? See the details below and let’s make that happen! Studio portraits with a twist…we come to YOU! These sessions mean we are bringing the backdrop, the lights and all of the equipment necessary to set up a photo studio in your home. Of course, if you prefer, you are welcome to come to our studio. The result of this series is classic artwork with a timeless aesthetic that you will be proud to display on your walls. Examples of portraits from Posh Pets Studio™ Sessions can be found here.